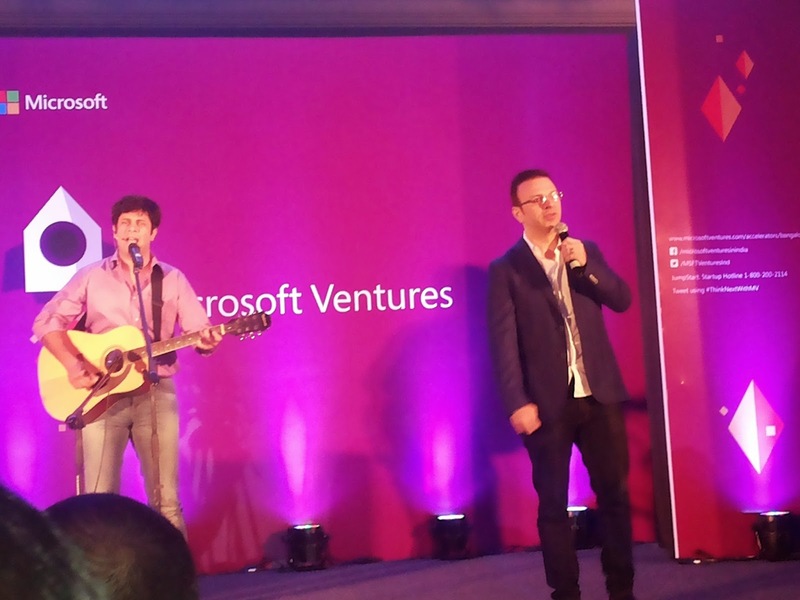 Microsoft Ventures in India today announced the graduation of 17 technology startups, 16 of which constituted the fourth batch of its Accelerator program and another from an earlier batch. At an event held here today, an audience of 800 plus mentors, industry influencers, venture capitalists, angel investors and journalists witnessed the accelerated progress made by Appointy, App Virality, Bookpad, Boutline, Imly, InstaSafe, IntouchApp, Metaome, Sliderule, Voonik, MyBusTickets.in, Praxify, Thinxtream, Touchfone, ZingHR and Zoom during the last four months at the Accelerator. Profoundis, a startup from its second batch, also graduated today. Sharing his experience, Abhijit Gupta, Co-Founder, CEO and MD, Praxify said: “Microsoft Ventures has played a pivotal role in reshaping our business strategy for emerging markets. Access to partners and potential collaborators has been a boost for a fast-growth product company like ours. The weekly meetings with the leadership team have helped us maintain focus on achieving our short term goals and ensured that these are aligned with the company’s long term vision. 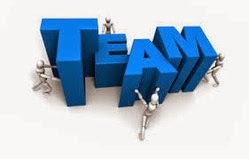 Our mentors have helped us to accelerate from a startup of 20 people to 45 people in less than 3 months." 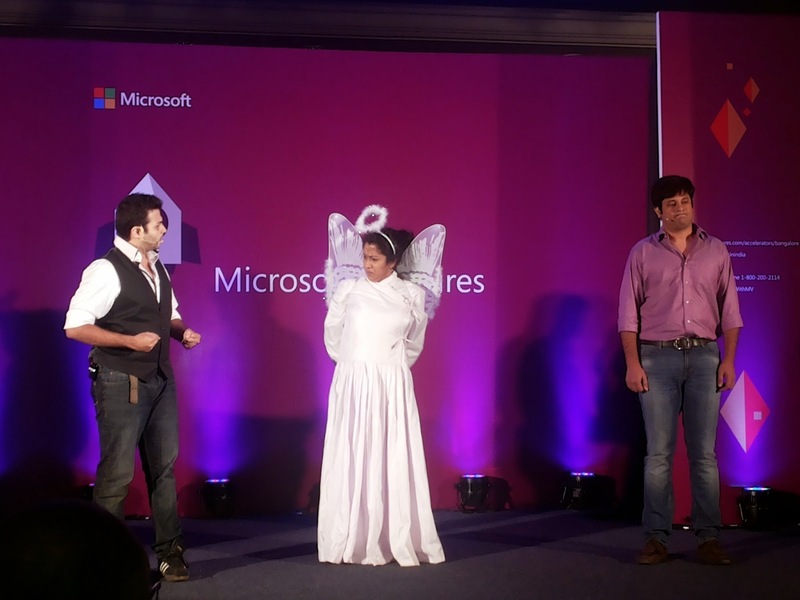 Demo Day was a part of day-long activities that included Think Next, Microsoft Venture’s new initiative to boost the startup ecosystem of India. A semi-annual conclave, Think Next aims at providing a forum for all stakeholders to network, deliberate and take measurable steps that will help spur the growth of the local entrepreneurial ecosystem. Two roundtables—Understanding Trends in Corporate Development and How to Create SAAS models from India, were organized as part of Think Next. 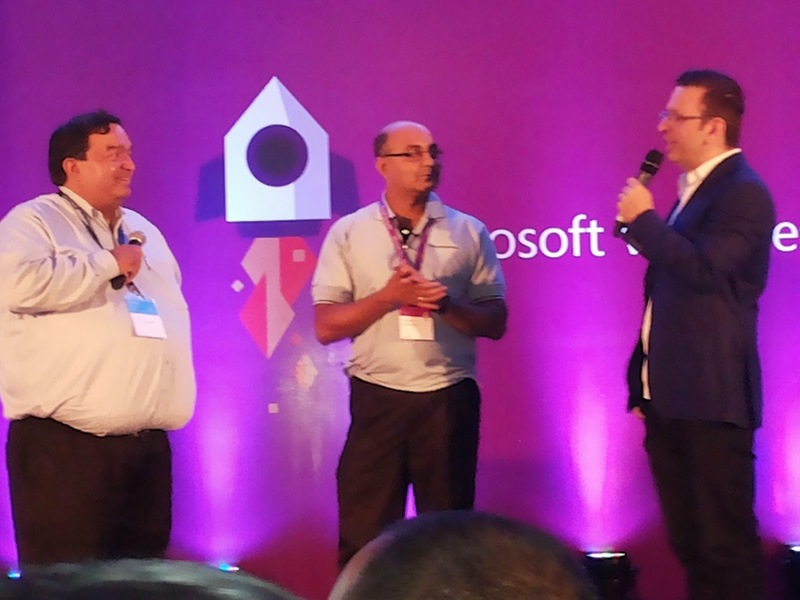 Going forward, Microsoft Ventures will be partnering with several industry bodies, eg Nasscom, TiE Chapters around the country and iSPIRT for Think Next. The roundtables at Think Next 2014 were organized in association with iSPIRT. The 17 startups which graduated today will join the 34 alumni startups from the last three batches of the Accelerator program. While their four month stay at the Accelerator ended today, it also marked the beginning of another life-long association. As alumni, they will continue to be supported by the Microsoft Ventures team, both in India and abroad, as they work on customer connect and technology advancement. 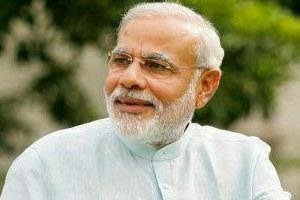 MAIT, the apex body representing the interests of the IT hardware sector in India, commends the immense technological forte and constant support of the BJPs IT cell in augmenting the vision of the Narendra Modi led Government and playing a crucial role in delivering BJP to power at the Centre, in addition to the Cyberspace. MAIT also appreciates the earnest efforts of Vinit Goenka, National Co-Convener, BJP IT Cell, and Head for verticals E-Governance, ICT Industry Interface & Policy Issues, in driving the campaign and exemplifying the use of IT’s potential to a maximum. The expectations from the Modi led government are very high and therefore we believe that the industry would benefit from the proactive role Vinit Goenka and his team has played in understanding industry needs. Although the expectations from the new government are at an all-time high, MAIT has been working closely for the past few months with the team advising the new government on ICT. The American Chamber of Commerce in India (AMCHAM India) has welcomed the historic mandate secured by BJP under the dynamic leadership of Mr. Narendra Modi. “The American Chamber is indeed looking forward to resurgence in India’s economic landscape and rapid improvement in the investment climate in the country,” the Executive Director, Amcham India, Ajay P Singha, stated. Amcham has had regular contacts with BJP and with Narendra Modi in the recent past. Amcham delegations comprising of CEOs of US companies in India have met Modi in 2011 and 2012 in Ahmedabad. Subsequently in 2013 an Amcham delegation comprising of CEOs of US companies met Nitin Gadkari, the then President of BJP, in Mumbai as well as in New Delhi. The meeting took place in conjunction with the IT Cell of BJP and was presided over by its Co-Convenor, Vinit Goenka. A working group comprising Goenka and senior representatives of US companies in India addressed several concerns impacting US investments in India. The working group identified issues which could be successfully addressed by decision makers in various sectors ranging from IT, Energy, Defence, Aviation, Food Processing, Agriculture, Healthcare and Financial Services. There was general agreement on most issues specially related to simplifying taxation, bringing in more transparency in Government contracts and creating a conducive investment climate. Amcham recently brought out a document articulating the “Challenges faced by US companies in India.” Advance copies were shared with the BJP leadership. “We are confident that our genuine concerns will receive an excellent response from the new government to help us address the challenges faced by US companies operating in India,” stated Singha. “Amcham is looking forward to working closely and strengthening the hands of the various ministries and departments in the Government of India to bring about the desired economic reforms and robust growth rates essential for showcasing India as the most desired nation for foreign investments,” he added. Earlier U S President Barack Obama had called on and congratulated PM designate Narendra Modi on his historic and landslide election victory. Both the leaders discussed Indo-US strategic partnership and the prevailing global economic situation. President Obama stated that under Modi's leadership India will contribute at the global stage. Meanwhile, Secretary of State John Kerry has also tweeted: "Congrats to @narendramodi and BJP. 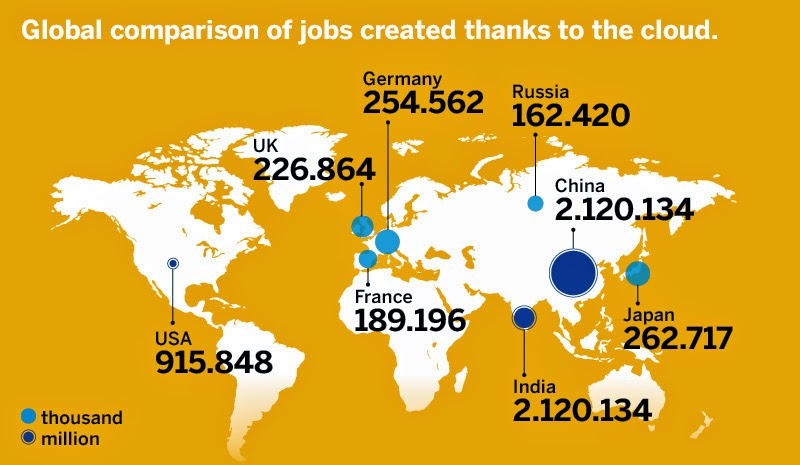 Look forward to working w/you/growing shared prosperity/security w/world's largest democracy." At a recent meeting of the Amcham India, the former US Ambassador to India, Nancy J Powell, had stated that there is a potential for US- India bilateral trade in goods and services to be increased from its current level of nearly $100 billion to an ambitious goal of $500 billion. “One possibility might be the convening of a Track 1.5 event during the first 100 days of the new Indian government to begin a conversation on how we can best accomplish this task.” The Ambassador had mentioned that there are remarkable opportunities to rapidly expand U.S.-India trade in sectors such as civil aviation; defense; infrastructure; energy; healthcare; IT services; and, agriculture. Panasonic has just added a new window air-conditioner model to its wide-ranging AC portfolio. As part of its India focused strategy to bring products designed keeping in mind the needs of Indian customers, the brand has re-entered the window AC segment with competitively-priced entry-level product. With this new launch and the existing line-up of products which consists of Split ACs, CUBE ACs, and a comprehensive range of Commercial ACs, the company is aiming to establish itself as a complete solutions provider for the air conditioning need of its consumers. The ACs are already available in the market in variants of 1.0, 1.5 and 2,0 ton capacities and in 2, 3 and 5 stars. They are priced between Rs. 24,990 to Rs. 39,490. 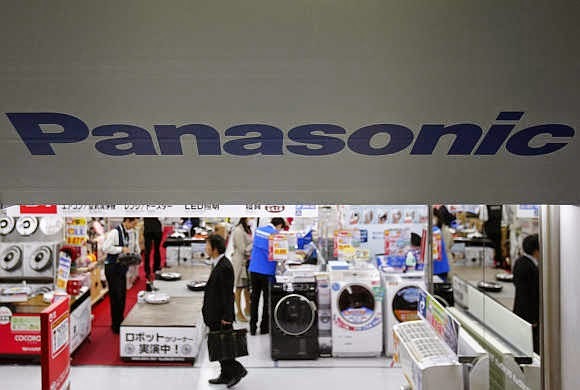 Panasonic’s re-entry into the window AC segment is also a part of its strategy to expand the consumer base and capture the untapped potential of the hinterlands and small towns. The consumption pattern in these areas is shifting from necessities to discretionary goods and the consumers have been showing a great appetite for consumer durables. Window ACs have strong potential demand from rural India and smaller towns since the first time buyers in these markets essentially prefer window ACs as they want a low cost product with simpler features. Now with this entire gamut of products under the Air Conditioner range, Panasonic will be able to tap different audiences with its offerings. · Anti- Bacterial Filter- The anti -bacterial layer combines three protective layers into one. Its special filter provides anti -bacterial, anti- virus, and anti -allergen protection letting breathe 99% cleaner air. · 4D Air throw- Provides constant air flow in all four directions for comfort in every corner. 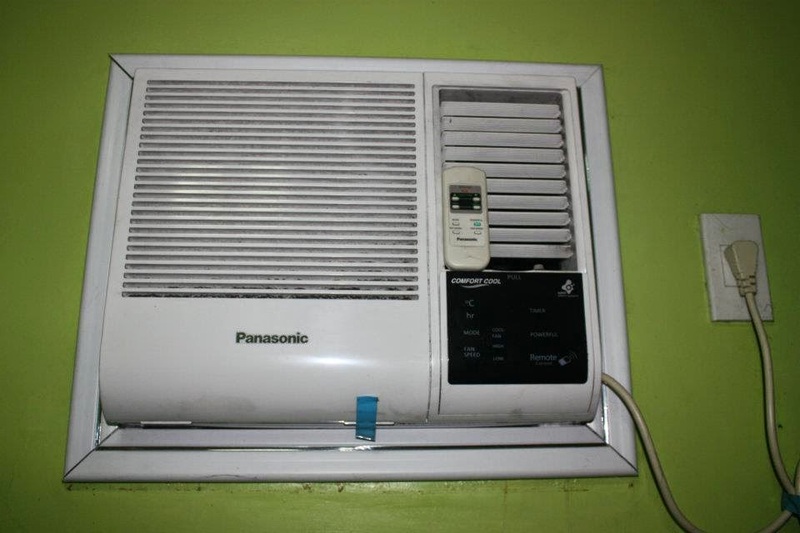 · Blue Fin Condenser- Coated with anti-rust coating, Panasonic Window AC is reliable and durable. · Inner Grooved Copper Tubes- Inner Grooved Copper Tubes allow quick and optimum refrigerant flow. 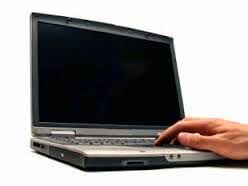 · Auto Restart- Should a power failure occur, unit resumes operation automatically in their previous set settings. · Energy Efficient Compressor- High efficiency can be achieved even under high load conditions. Get higher degree of cooling & comfort even at higher outdoor ambient temperature. Language will no longer be a communication barrier on your mobile phone. You can now truly express yourself in the language that you are most comfortable in while browsing or chatting. Micromax, India’s 2nd largest smartphone player and World’s 10th largest mobile manufacturer, announced the launch of world’s first phone with 21 language support – the Micromax Unite 2. 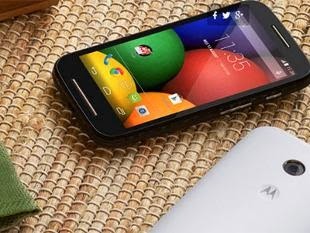 Powered by a 1.3GHz quad core processor, the Micromax Unite 2 is the first phone from the company running on the latest Android KitKat 4.4.2, which can be easily upgraded through FOTA, offering users a number of features including voice search, Google Drive, Hangouts for video calls, smart contact prioritisation etc. promising faster multitasking. The phone will be available in 4 bright colors – grey, white, red and green to break the monotony from the boring black and blues. The Micromax Unite 2 comes with a 4.7-inch Bright Graph IPS display with a resolution of 800x480. Packed with a 2000 mAh battery, the phone ensures a strong battery backup. Equipped with a 5.0MP rear camera with flash to further enhance the superiority of the memorable moments, it also features a 2.0MP front camera to facilitate video chatting with friends and family. The camera also offers a number of features like beauty mode, live photo mode and panorama, letting users experiment with their photography skills. Users can chose from a multitude of applications pre-loaded on the phone – MAd, a unique application which lets users watch ads, earn points & get money added to their phone balance; Getit, a simple intuitive guide to search for destinations such as hotels, ATMs, Movie theaters; Kingsoft Office, a tool that can help users to create and edit documents on the go; Opera Mini Browser for fast browsing with maximum data savings; Hike, an Indian instant messaging service; M!Games to play high quality games online; pre-loaded games like Marble, Burn the Rope, Toystory Smash it; M!live to download unlimited latest Bollywood, Regional videos, music, wallpapers, mobile games and applications; Reverie phonebook and Reverie smartpad to save contacts, type, text in the preferred language. With an expandable memory of 32GB and GPS enabled, the phone supports Bluetooth v4.0 and WiFi, ensuring full time connectivity for the social media buffs. Priced at a MOP of Rs. 6,999, the Micromax Unite 2 will be available across all leading retail outlets in India from May 22, 2014. SAP AG has announced a cloud-based offering designed for students to incorporate the study of SAP solutions into university coursework. The student edition of SAP Learning Hub offers a comprehensive library of electronic content that universities can provide to students for self-study covering close to 150 SAP solutions. It also includes access to e-learning courses, handbooks and other training materials from the SAP Education organization tailored for students’ needs. Through the student edition of SAP Learning Hub, students can prepare for future employment on their chosen career path or prepare for SAP certification exams. This is the latest edition of the new and expanded version of the cloud-based SAP Learning Hub site announced earlier this year. Universities can purchase access to the student edition of SAP Learning Hub on behalf of students who then receive access to the site. With a wide range of high-quality content and optional live access to training systems from SAP, students will be set up to train when and where they choose. Students can also access social learning rooms to collaborate with peers and interact with SAP subject-matter experts. The student edition is offered at a lower entry price point for the academic sector, with optional access to live SAP training systems for select courses. Demonstrating accelerating momentum for its new cloud business, Cisco today announced new cloud partners and customers, an updated array of cloud service offerings, and key cloud organization leadership appointments. 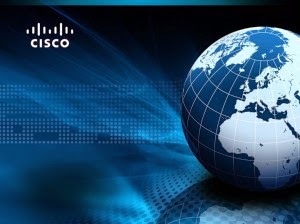 Today’s news builds on plans announced in March by Cisco to build the world's largest global Intercloud together with its partners to address customer requirements for a globally distributed, highly secure cloud platform capable of meeting the robust demands of the Internet of Everything. Designed for high-value application workloads, with real-time analytics and "near infinite" scalability, Cisco’s open Intercloud allows local hosting and local provider options that enable data sovereignty. The hybrid cloud capabilities that differentiate the Cisco Cloud are built upon the Cisco Application Centric Infrastructure (ACI) and Cisco Intercloud Fabric technologies. · Dimension Data and Sungard Availability Services (Sungard AS) will join Telstra as Cisco Intercloud partners – cloud providers that will invest with Cisco to align their public cloud infrastructure to the Cisco Cloud architecture and deliver Cisco Cloud services to customers and resellers. · VCE and NetApp announced they will collaborate closely with Cisco to build “Intercloud-ready” integrated infrastructure solutions. · Johnson Controls announced that it will enable Cisco Cloud partners and customers to quickly add computing capacity via modular data center solutions. · Accenture has licensed Cisco Intelligent Automation for Cloud software to expand the cloud management and orchestration capabilities of the Accenture Cloud Platform. * Dimension Data and Cisco will expand their 23-year relationship to accelerate and streamline hybrid cloud adoption globally. Cisco will use Dimension Data’s Managed Cloud Platform and SaaS solutions to deliver a suite of midmarket cloud services to its customers and resellers. Dimension Data and Cisco will partner to deliver an infrastructure-as-a-service (IaaS) solution that will be packaged with Cisco technology and software-as-a-service (SaaS) applications, including Microsoft SQL Server and SharePoint. The Cisco validated and co-branded solutions will be sold by Cisco through the Cisco channel partner community. Dimension Data’s global cloud service is available via 10 data centers around the world, with plans to expand to 13 locations by September 2014. As a Cisco Intercloud partner, Dimension Data will evolve its Managed Cloud Platform to embrace Cisco ACI and Intercloud Fabric — the building blocks of the Cisco Cloud architecture. * Sungard Availability Services is a Cisco Intercloud partner, utilizing its cloud infrastructure to deliver new Cisco Cloud services to customers and resellers. As a Cisco Intercloud partner, Sungard AS is expanding its cloud infrastructure utilizing the foundational elements of the Cisco Cloud architecture, including Cisco ACI. Sungard AS is poised to become the first cloud provider to market with a Cisco ACI-based public cloud offer built on an application-centric cloud architecture. Cisco will feature two cloud services from Sungard AS in its service catalog: an IaaS offering that enables customers to rapidly deploy hybrid clouds; and a disaster recovery-as-a-service offering to deliver business continuity. * VCE today announced it will integrate Cisco’s Intercloud Fabric with Vblock Systems. By providing an onramp to Cisco’s Intercloud workload migration capabilities, VCE Vblock Systems will enable customers to rapidly, seamlessly and securely manage their private, hybrid and public cloud environments. This integration will enable the management of cloud-enabled workloads across heterogeneous environments to be centralized with consistent network and security policies and optimized to fit the needs of the business. * NetApp today announced plans to integrate its industry-leading data management technology with Cisco’s Intercloud technology to simplify secure, cross-cloud interoperability and to accelerate adoption of hybrid clouds by mutual customers. NetApp and Cisco will also incorporate the Cisco Intercloud Fabric into the FlexPod roadmap. By delivering uniform control across workload locations, FlexPod will be able to combine the transformative power of public cloud computing with private cloud deployments. More broadly across their portfolio, NetApp will continue to integrate its clustered Data ONTAP technology with the Cisco Intercloud Fabric and Cisco ACI policy control to centralize and simplify data management and data movement for cloud-enabled application workloads. * Accenture has licensed Cisco Intelligent Automation for Cloud (IAC) software as a component of its Accenture Cloud Platform (ACP). Cisco IAC will provide the cloud management and orchestration software for the next release of the Accenture Cloud Platform (ACP), Accenture’s cloud management platform that provides value-added cloud services to clients, and for public cloud services offered by other cloud providers. Cisco IAC was chosen as ACP's preferred cloud management software on the strength of its service catalog and orchestration capabilities. * Johnson Controls is the preferred global provider of modular data center solutions for the Cisco Cloud. By using modular components for computing, communications, security, power and cooling, the timelines for new data center construction are cut in half, allowing Cisco Cloud customers and partners to quickly deploy “Intercloud-ready” computing capabilities. Johnson Controls also offers the ability to manage and remotely monitor data center facilities for Cisco Cloud customers and partners. As a multi-industrial company and industry leader in facility construction and management, Johnson Controls provides facility management services in more than 250 data centers across 29 countries. * The University of British Columbia (UBC) announced that it will use Cisco EnergyWise cloud energy management services, which deliver automated management of electricity usage. UBC will use Cisco EnergyWise cloud energy management services to expand its current EnergyWise networked devices 10-fold and will work together with Cisco to develop custom interfaces so additional devices can be managed by EnergyWise. 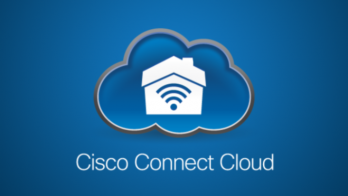 Cisco announced that it has surpassed 175 channel partners, including CDW and GTRI, who are now certified to manage and resell Cisco Cloud services. According to TimesJobs.com’s latest Compensation and Benefit survey, rising inflation and increasing cost of living has led employees to re-evaluate their priorities on how they are compensated for their work. Our survey indicates that most employees, across generations, prefer a higher ‘in-hand’ pay out compared to other components of the salary. ‘In-hand’ salary matters more to the junior level employees than the mid or senior level. Kishore Sambasivam, director-total rewards, SAP, attributes this trend to the fact that employees at junior levels are typically single and seek ownership. They do not want money locked up in a PF or superannuation benefit. Employees at this level want to plan their investment strategies which may have a higher risk and return profile. According to the survey, almost 90 per cent employees prefer a customised compensation package. Their priority of what is more important to them depends on the stage of their career and their age. While salary remains core to all age groups, the Baby Boomer Generation prefer post retirement benefits (24%) such as PF and Gratutity, there is a marked distintion for other perks in the Generation X segment with 29% wanting club memberships, car, and company housing. The Youngest Gen Y Generation is eager to have it all with an equal balance of about 20% for each benefit – be it Medical, Post Retirement or other perks. 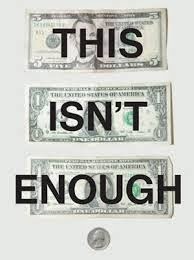 But by and large salary remains the core consideration for all levels coming in lowest at a considerable 41% for Gen Y and a High of 57% for the boomer generation. According to Sambasivam, employees prefer flexibility in their compensation structure. This is dependent on the changing demographic profile, priorities, preferences, risk orientation, individuality and ‘live-in-the-present’ mindset. 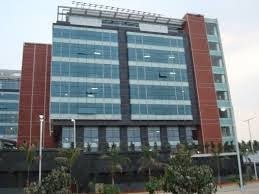 Traditionally, companies focused on long-term orientation such as Provident Fund (PF), superannuation, company provided accommodation, Leave Travel Allowance (LTA), loans etc. Now, employees prefer more cash-in hand as it gives them the flexibility to spend as per their aspirations and lifestyle. “Companies need to be cognizant of the same and modify their compensation structure and philosophies in line with the changing expectations of the workforce”, added Sambasivam. Summing up, Raghavendra K, vice president and head human resource development, Infosys BPO, said that a healthy compensation and benefit structure should have a balance between financial and nonfinancial components and should be aligned with the strategic priorities of the organisation. Mphasis, a global IT services leader, today announced a partnership with Basware Corporation to provide F&A Business Process Services spanning purchase-to-pay and e-invoicing. Mphasis will embed Basware’s platform and its Commerce Network within its own portfolio and provide transaction based e-procurement and invoice automation services to its clients around the world. Basware is the global leader in providing solutions for better buying, better selling and connected commerce. Mphasis is a leading IT solutions provider, offering Applications, Business Process and Infrastructure Services globally through a combination of technology knowhow, domain and process expertise. Through the partnership, Mphasis will offer a true and comprehensive “Business Process –as-a-Service,” which organizations can adopt irrespective of the financial systems they are on. This integrated “platform plus services” has the potential to offer significant value through the summation across process optimization, platform consolidation, workforce optimization and business insights to its clients. Mphasis’ trained professionals will deliver the services out of its centers in the U.S., Canada, Poland and India, thereby providing clients the options needed to balance regulatory requirements and cost of operations. The service features an easy-to-use plug-and-play model with transaction-based pricing, to maximize efficiencies in the F&A function in organizations. “Mphasis is leading the pack in using end-to-end process automation to provide world-class F&A outsourcing services. We are excited that Mphasis has chosen our Alusta Purchase-to-Pay automation solutions as the foundation for the Business Process as a Service offering. In addition to optimizing working capital through automation, Mphasis’s customers will benefit from our analytics, social collaboration, and mobile solutions to identify improvement opportunities, resolve issues quickly, and allow end-users the freedom to connect from anywhere. Basware’s open commerce network with 1 million buyers and sellers will support Mphasis customers’ flawless exchange of purchase and invoice messages, said Ari Salonen, General Manager for Basware’s Global BPO services. Indian hospitality feels orphaned with your passing away, Honorable Chairman. You have impacted too many lives in overwhelming ways. Twelve years ago, same month was when I first met you. I remember the interview. Three hours at The Great Wall, an elaborate Chinese meal and you relating your life journey through fascinating stories. Enraptured, I realized, besides a few sounds of exclamations I hadn’t uttered a word and the job was mine! You later once said “I saw in you what you didn’t see in yourself”. 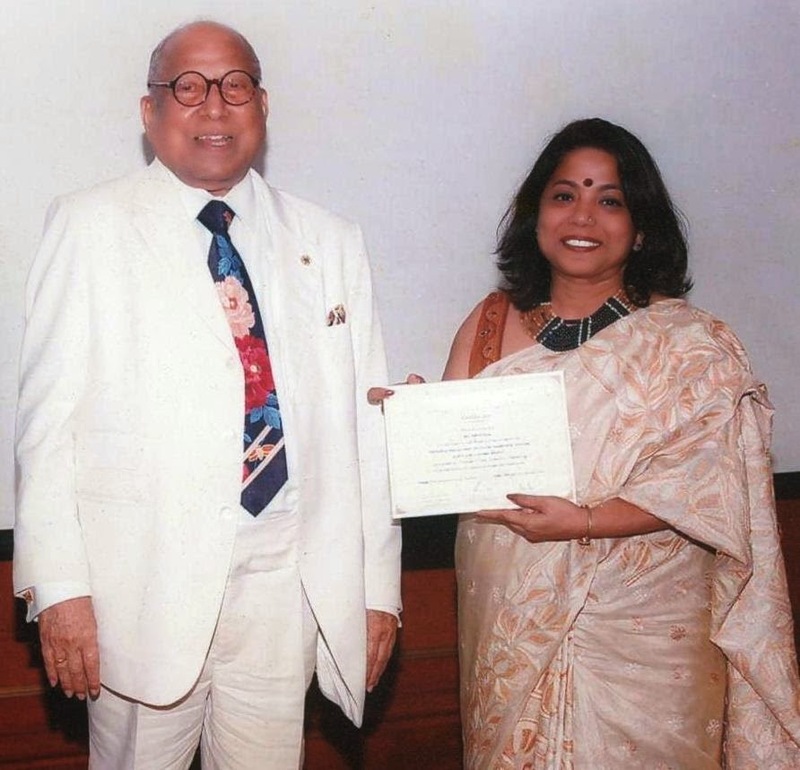 That was one of your sharp acumen and today so many stalwarts of the hospitality industry owe their discovery to you. Not a man guided by the letters, you could instinctively smell a good idea and back it. Or vice versa deem a person stupid to have thought of an idea that didn’t meet your mind. Bouquets and brickbats would fly in with same speed. Those who didn’t buckle absorbed your mantra “think big, think fast and get into action”. If ever there was a rating of corporate roller coaster life, The Leela under your stewardship would top the list. One could be hero to zero and back to hero all in a day. This mercurial challenge kept us on our toes. What always inspired me to look beyond your words was the gnawing hunger within you to demand only perfection. The Leela brand of hospitality can never be found in books, but books can be written about it. I remember the cine veteran Dilip Saab and Saira Banu were at our restaurant, you called to say ‘go and meet them’ I was uncomfortable, wouldn’t I be intruding on their privacy? But went all the same and we are till date friends for life and there are so many such acquaintances that bloomed because you first pushed. Your joy to meet people and give them your undivided attention is legendary. Your hospitable generosity is history. I remember a guest in our Leela Bangalore once got his breakfast of hot steaming idlis submerged in Sambar, without his asking, surprised he asked how? You had seen his name in the corporate VIP list of guests staying with us and remembered that he loved his idli’s served in this style and had left this specific instruction. Your small but stunning touches taught us that god is in the small details. Every hotelier plans great welcomes, but you would say see your guest to the door and wave him goodbye, there is warmth in it and leaves lingering memories of a great stay. You always believed that hospitality has got to come naturally, there is no formula. If it gives you unadulterated joy, and makes you forget the ticking clock you were cut out for it. The gems of insights I received can go on to fill books. But most precious to me was when you stood on your toes while introducing me to a gathering of Management students and said don’t be fooled by her petite size, she is truly tall within. Once and for all I threw my grievance of being short and experienced seeing the world from a height. You empowered me with earned height that day. You always endorsed ‘think on your feet’ rather than know all the rules, because no two situations are the same. That learning came alive in the middle of the Kerala backwaters, I was with a boat full of seven German journalists and the motor suddenly stopped. Panic gripped all for a flash of a second. Emulating the ostrich that digs its head into the sand to think that calamity does not exist. I got them to shut their eyes, saying I have stopped the motor to let them experience yogic silence. 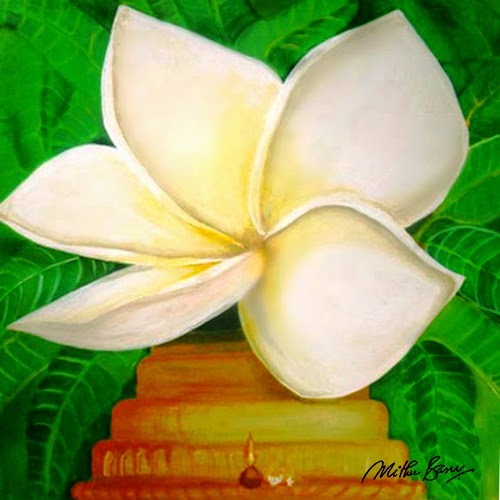 Chanting the Gayatri mantra I asked them to stay in meditation until I would chant a countdown and bring them back to open their eyes once again. Meditation under control I signaled the motor boy ‘we are out of oil will take me 10 more minutes to replenish.’ He soon gave me the thumps up, and I got the group back to wakefulness. They felt rejuvenated, I too felt the same but for reasons not the same. A month later our German President walked in saying Honorable Chairman we are in the leading German business paper ‘Die Welt’ for the yogic silence experienced through Leela hospitality. Your wah! when you heard my story, was a 'aha' moment I cherish until this day. As I write, you are being consumed by the last rites. The flames believe that now you are with them, but the truth is the trees, gardens, the hearts of the people whose lives you have touched, family, friends, The Leela hotels every nook and corner hold you, your persona, your values and all that you taught by walking the talk. Footprints get washed by the sand, memories may blur but legends move on from being present to omnipresent and live on forever. Honorable Chairman, sleep well.